Housed in a heavy weight compact case, the single input will accept both Moving Magnet and Moving Coil cartridges. There are internal adjustments for gain and the circuit is able to recognise input impedance and adjust accordingly. 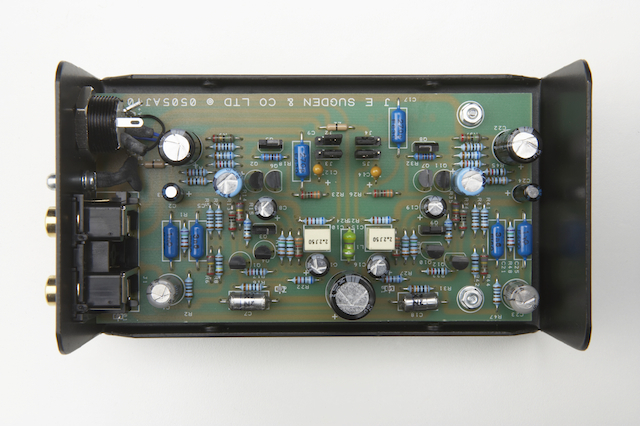 The circuit is totally discrete enabling Sugden to tailor the output transistors for the best possible sound, combining it with a high gain front-end. The circuit is single ended like the A21 SE amplifier. The Sugden A21SE now has an LTVS low tension voltage supply facility on the rear panel of the amplifier. The three pin socket provides a high current power supply for the Stage One. 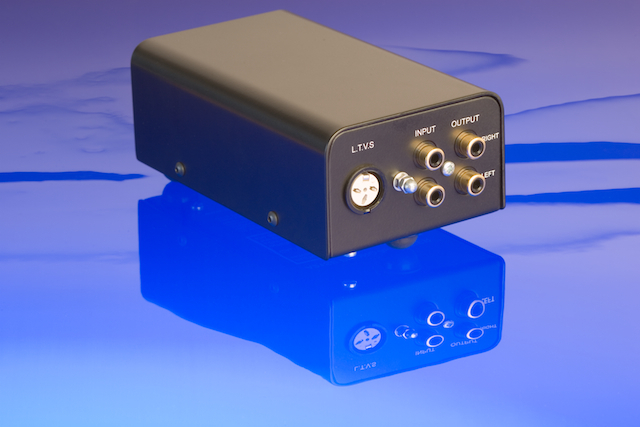 The Sugden A21SE Stage One can only be used with the LTVS supply from the A21SE Amplifier. Inputs – Moving Magnet, Moving Coil andLTVS power in. Input sensitivity -Moving Magnet 3.0mV, Moving Coil 0.15mV. Frequency response – 20Hz to 20kHz +/-1dB. Dimensions -60mm x 140mm x77mm (HDW).